Last time in this series, we discussed the features of the great sky globe, its lines and points, things like the lines of right ascension and declination, celestial longitude and latitude. This Sunday, we begin talking about destinations in the sky, the objects those lines of declination and right ascension help us find. Do you remember T.S. Eliot’s Old Possum’s Book of Practical Cats? No? 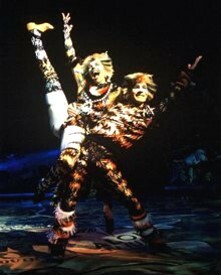 Surely, though, you’ve heard of the famous musical based on it, Cats? Anyhow, Eliot informed us that every cat has three names. The same is true of stars. Every star you can see in the sky—and many thousands and thousands beyond those you can see with your naked eye—has (at least) three names. Even if you’re the newest of novices, you probably know at least a few star proper names. You’ve probably heard “Polaris” (a.k.a. The North Star), possibly “Sirius” (the brightest star in the sky, “The Dog Star”), and very likely “Betelgeuse” (“Beetlejuice, Beetlejuice, Beetlejuice!”). You may also assume that’s how astronomers identify stars, by their proper names. While astronomers, amateur and professional, do tend to refer to a handful of brighter stars by their names, that’s about it. Why is that? First of all, only a relatively few stars, maybe a couple of hundred out of the four or five thousand visible to the naked eye, have proper names. Also, most of the star names in common usage are of Arabic origin and are difficult for non-Arabic speakers to pronounce and remember. Sure, Betelgeuse is easy enough, but then you have Zubenelgenubi, Al Minliar al Asad, and Fum al Samakah. There’s got to be a better way. There was, beginning with an alternative means of identifying stars devised by German astronomer Johannes Bayer in 1600. He hit on a star nomenclature system that was simple and elegant and is still widely used today. Bayer dispensed with proper names and instead christened stars with lowercase Greek letters. Often, but not always, he designated the brightest star in a constellation as “alpha,” the second brightest as “beta,” and so on. 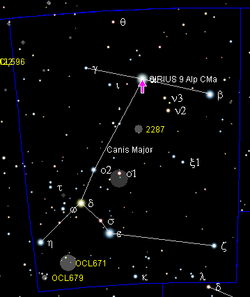 Sirius in the constellation Canis Major, for example, is identified with the letter alpha and the Latin genitive of its constellation name, “Alpha Canis Majoris.” Simple, neat, elegant. Unfortunately, there are serious problems with the Bayer Letter system. First, Johannes didn’t always stick to the “brightest star is alpha” rule. Sometimes, the placement of a star in a constellation was more important to him than its brightness. For example, Adhara in Canis Major is the second brightest star in its constellation, but because it is far to the south, he gave it the letter epsilon rather than beta. The most fatal problem for Bayer letters, however? There are only 24 Greek letters, so even a small constellation exhausts the alphabet in a hurry. What’s the one thing you can’t run out of? Arabic numerals. That’s what occurred to 18th Century French astronomer Joseph Lalande as he was working with the star catalog (list) of British Astronomer Royal, John Flamsteed. The other idea Lalande had was to not worry about stellar brightness. In an age long before the development of photometers, it was often hard to tell which stars were brighter than others, especially considering that some stars, like Algol in Perseus, are variable—their brightness changes. What Lalande did instead was to give each star in a constellation a number based on its right ascension, its celestial longitude. The westernmost star in Canis Major would be “1 Canis Majoris,” and the star just to the east of it would be “2 Canis Majoris,” and so on. Is Lalande’s system, which came to be called “Flamsteed Numbers” for the catalog he applied it to, perfect? No. Due to the effects of precession, the slow wobble of the Earth’s axis, which affects the coordinate system over time, some of Lalande’s numbers are now out of order. That is not a big deal, though, and today Flamsteed numbers are probably still the most oft-used identifiers of stars. Proper names, Bayer Letters, and Flamsteed Numbers are the only designations stars possess, however. There have been dozens of star catalogs compiled in the last four centuries up to and including the Hubble Guide Star Catalog, which contains millions of entries, and even beyond that to catalogs with many millions of entries. So, many stars actually have considerably more than three names. If you knew “Betelgeuse,” “Sirius,” and “Polaris,” you probably also know a few star patterns, “constellations,” or parts of them at least. Likely the Big Dipper (part of the larger constellation Ursa Major), and perhaps Orion the Hunter, who is prominent in the sky right now. And you probably know these constellations as often distinctive “stick figures.” The bright stars of part of Ursa Major seem to form a dipper or plough, Orion is the outline of a man complete with a belt and sword. These constellation stick figures are useful, and even professionals employ them to orient themselves in the sky on the infrequent occasions when they have reason to look at the sky with their own eyes. Certainly, amateur astronomers use them frequently. They are an easy way to find objects—stars, planets, deep sky objects. The constellation stick figure outlines are informal however. There are no official constellation stick figures. Designs for the constellation outlines range from the simple and elegant, as those in Sky & Telescope’s monthly star chart, to the strange and torturous ones drawn by children’s author H.A. Rey in his book, The Stars, a New Way to See Them in an effort to make the figures look more like the things they are supposed to represent (the usual stick figure of Sagittarius looks like a teapot, not an archer). There are official constellations, however. A “constellation” as thought of by professional astronomers and most amateur astronomers is a different thing. It is not a stick figure. As shown above with Orion, a constellation in this sense is an area of the sky. Everything within the blue, dashed border is in the constellation of Orion whether it is part of his stick figure or not. These sorts of constellations are analogous to the counties on a state map. 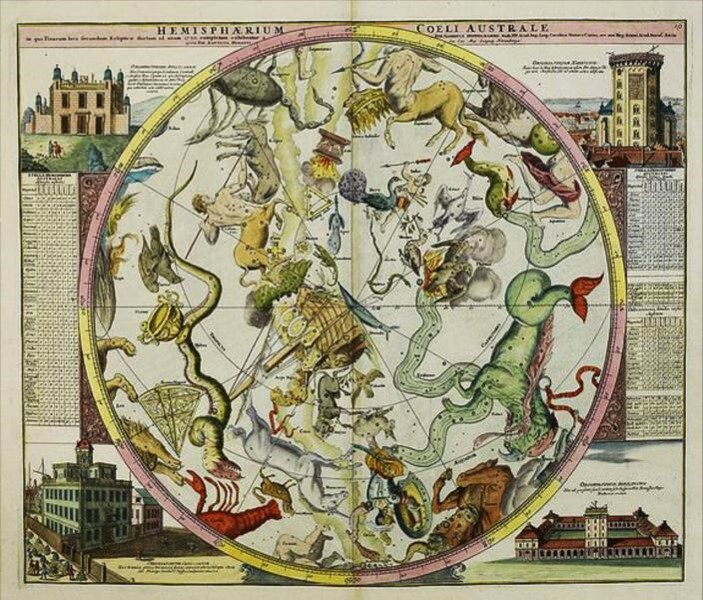 There is a combined total of 88 constellations in the sky’s Northern and Southern Celestial Hemispheres, and their boundaries were made official by the International Astronomical Union, the body that handles the naming of objects in astronomy among other things, in 1922. What’s a “deep sky object” (DSO)? We’ll save the minutiae of star clusters, galaxies, and nebulae for a future installment. 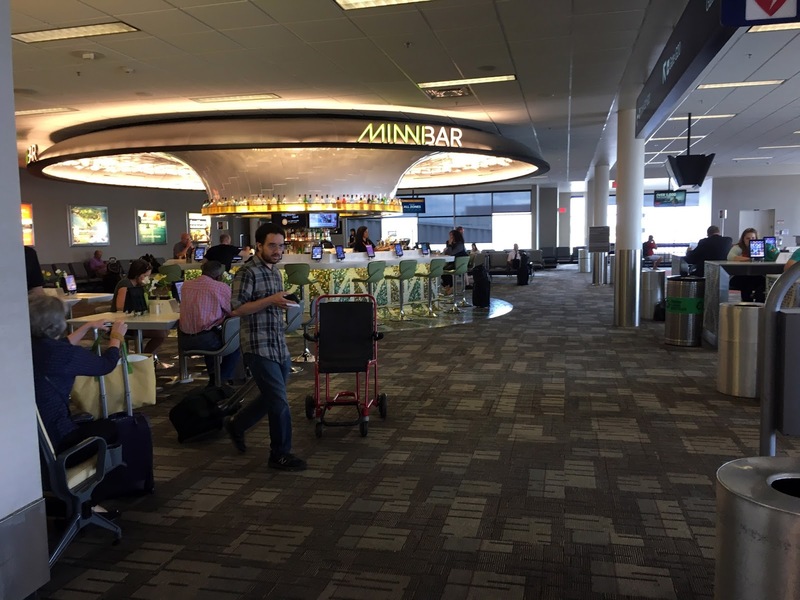 Today, we’ll just talk generalities. Deep sky objects are those things other than single stars that lie beyond the Solar System: star clusters, galaxies, and nebulae. Some observers consider double stars to be DSOs, but most don't. The basic amateur astronomer “life list,” the Messier catalog, composed by French Astronomer Charles Messier in 1781, and was, initially a listing of odd fuzzy things Messier saw with his small telescope (often a 4-inch refractor). The Messier is the place to start when you are beginning your exploration of the Universe outside our Solar System. Initially, Messier’s idea was to catalog fuzzy objects that could potentially masquerade as comets, confusing his fellow comet hunters. The objects in Chuck’s list are commonly identified as M-1, M-2, etc. All are visible from the northern hemisphere, natch, with even the southernmost objects doable from mid-northern latitudes. 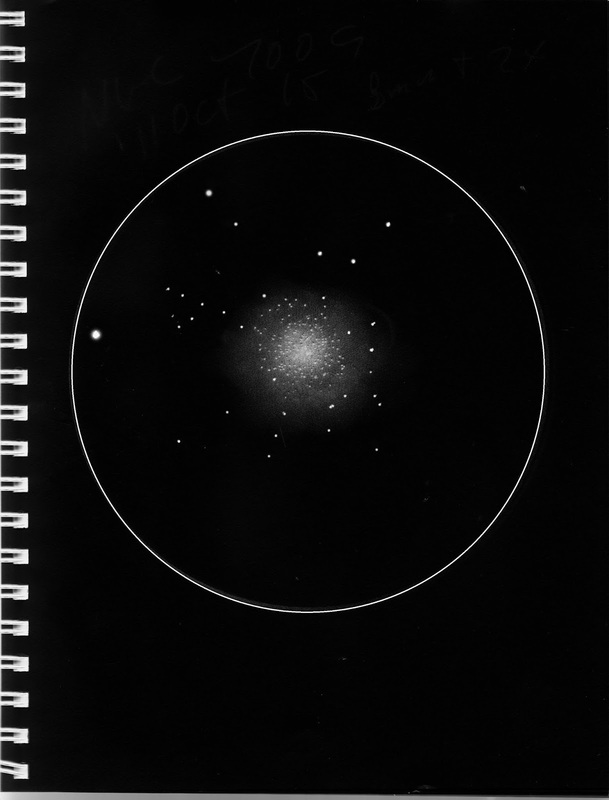 While the original goal of the M-list may have been to aid comet hunters, Messier soon went beyond that, including objects, like M45, the Pleiades star cluster, that surely no one could have mistaken for a comet. The M-list not only contains objects that Messier and his friends and colleagues saw, but those from other sources, including some, like the Orion Nebula (M42), that had been known for a long time. While Messier’s original list stops at M103, seven more have been added over the years by various people, with the “Messier” now widely considered to contain 110 objects. The next person to compose a major deep sky catalog was the famous English amateur astronomer William Herschel in the latter part of the 18th Century. He and his sister Caroline cataloged a whopping 2500 faint fuzzies. While the Herschel Catalog is famous, it’s no longer in use. It was absorbed into the even larger NGC catalog developed by Herschel’s son, John and John Louis Emil Dreyer in the 19th Century. While the most popular list of deep sky objects with amateurs after the Messier is the Herschel 400 list, a subset of Herschel’s catalog containing the 400 best objects for smaller telescopes, the DSOs in it are identified by their modern NGC numbers, not their old Herschel designations. The New General Catalogue of Nebulae and Clusters of Stars (abbreviated “NGC”) is the bread and butter deep sky list for astronomers amateur and professional. The basic catalog contains 7840 DSOs total for the Northern and Southern Hemispheres. An addition to the NGC, the two-part Index Catalog (IC) published by Dreyer in the late 1800s, brings the final NGC object tally to 13,226 DSOs. NGC objects are identified with "NGC" or "IC" and a four digit number following a space, "NGC 7331," for example. While technically considered part of the NGC the IC catalogs' numbers begin with IC 1. While many NGC objects are, yes, dimmer than Messiers, and new amateurs can be a bit skittish about diving into the bigger list, not all its objects are tougher than the Ms. There are plenty of showpieces Charles Messier missed. For example, the spectacular galaxy NGC 253 does not appear in the M-list. All the Messier objects also have NGC numbers, by the way. M31, the Andromeda galaxy, for example, is also NGC 224. How about the IC? Most of them are indeed tough. Oh, there are some easy IC open clusters, but most of these catalogs’ DSOs are faint and difficult “photographic” subjects. There are plenty of other catalogs besides the Messier and NGC. Most are specialized like the PK catalog of planetary nebulae or the Collinder catalog of open star clusters. Some, like those two, are in common use by amateurs. Others like the PGC and UGC catalogs, which contain millions of faint galaxies, are only used by those of us with the largest telescopes or most sensitive cameras. And…I think we’ll stop right here. The next “lesson” will concern star charts, and will, like the first installment, be a lot for Joe and Jane Newbie to bite off and chew in one sitting. When will that come? As before, it depends on the weather. I currently have a telescope set up in the backyard, but it is sitting under layers and layers of thick, nasty clouds. I don’t claim to be some kind of software guru, but I have been using astronomy software since computers first came to our avocation. 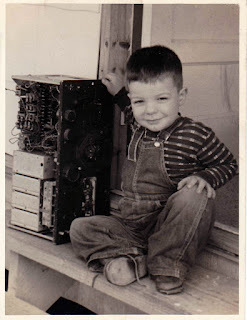 Most of you know that, and I am often asked which software I use. Those asking are sometimes disappointed when I say, “Whatever is cheap and simple” rather than “The latest version of TheSky X Professional (or Maxim DL).” In part, that’s because I am cheap. And it’s also in part because the things I do in astronomy today are simple enough that they could probably be accomplished with a 20-year-old copy of Megastar. Just because I don’t spend a lot/any money on the software than runs on my PCs (no Mac here despite my not infrequent threats to go Apple) doesn’t mean my astronomy programs aren’t capable of doing far more than I do with them. 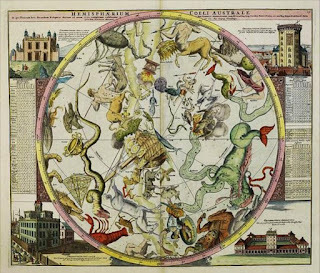 We are in a golden age of incredibly capable astronomy freeware with softs like Cartes du Ciel, Deep Sky Stacker, Sharpcap, Astrotortilla, Auto Stakkert, ASCOM, Registax, and, the subject of today’s article, Stellarium. Yes, there are tons of excellent planetarium programs, freeware and payware planetarium programs, beyond the above mentioned Cartes (a long time favorite of mine and a wonderful piece of software) and TheSky X, but what I use more than anything else today is Stellarium. Why? It’s simple and it’s pretty and that is exactly what I appreciate at the moment. It also does everything I need, and could do far more than I ask it to. If you’re interested in the basics of Stellarium, including how to install and configure it, see this article (from over five years ago, hard as that is for me to believe). 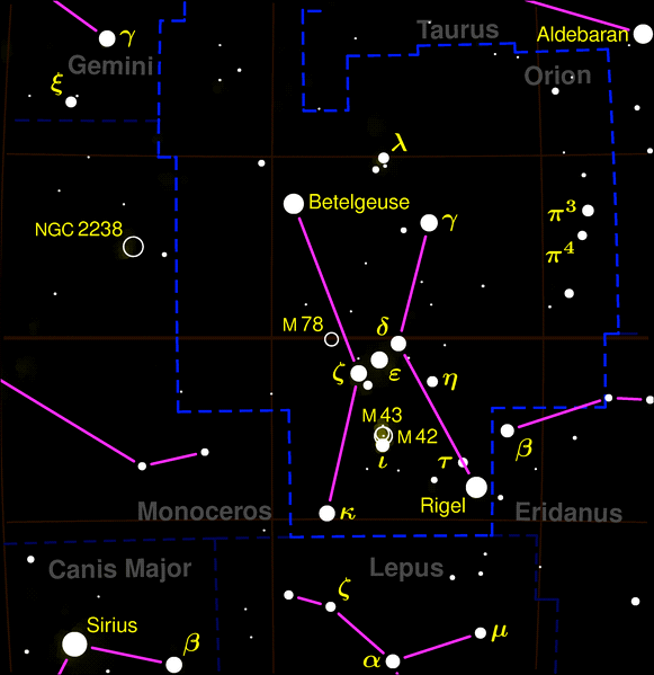 Today, we’ll mostly be looking at what’s new in the latest release, Stellarium 15.1.1. To make the above-linked long story short, Stellarium, in addition to being free, is a relatively quick download, and while, like any astronomy software, it needs to be configured, it’s not that tough. For the most part, there are no submenus of submenus of submenus. You get some fairly clear choices in a few (multi-tabbed, admittedly) windows, “Location,” “Sky and Viewing Options,” and “Configuration.” It’s all easy to do and it’s fairly obvious what you should do without even looking at help pages. Even setting up a connection to a telescope is not that bad. It’s duck soup if you can use the program’s built in telescope drivers (Celestron, Meade, Losmandy, SkyWatcher, Argo Navis). If you have a non-compatible telescope, you’ll have to use an add-on helper program, StellariumScope to give the program access to the multitudinous ASCOM telescope drivers, but even doing that is fairly simple. How much computing horsepower does it take to run Stellarium? For the current version you’ll want a reasonably fast processor, but a 2.4 gig one like those in even the cheapest boxes from BestBuy is more than sufficient. Most important is a video card that supports the Open GL graphics system. You’ll also want Windows 7 and up, OSX and up, or a reasonably current flavor of Linux/Unix as your operating system. You can download older versions of Stellarium to accommodate older OSes and video cards, but you really don’t want to. What is the first thing you will notice the first time you boot up Stellarium? Just how beautiful it is. 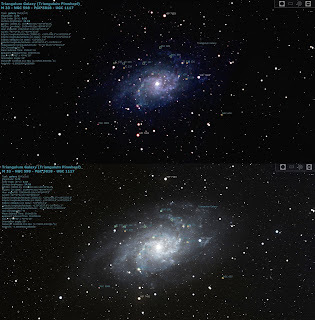 This software is used in conjunction with projectors in planetariums, and it’s easy to see why. Its sky is as realistic as those in the most expensive apps. Weather, fog, passing satellites (actual satellites), sporadic meteors, beautiful horizon scenery, and a luscious looking sky with a superb rendition of the Milky Way are all there. You can download plenty of additional stars, and the program contains thousands and thousands and thousands of deep sky objects. Movement around the sky, dragging it with a mouse, is wonderfully responsive. But those of you who’ve, like me, been using the program for a while know all that. What you want to know is, “Why should I go to the trouble of downloading the new one and going through that configurating again? -A lot of bugs have been fixed. - Added cross identification data for stars from Bright Star Catalogue, 5th Revised Ed. While the program’s developers warn the Digitized Sky Survey feature is still somewhat experimental, it worked flawlessly for me. Occasionally, when using wide fields of view, there were a few “stitching” artifacts, but these didn’t bother me or cause problems. DSS is reason enough to upgrade to the new Stellarium. The current release is 15.1.1, btw, because the initial 15.1 build had problems with missing dlls, which prevented you from downloading the additional star catalogs offered for the program. 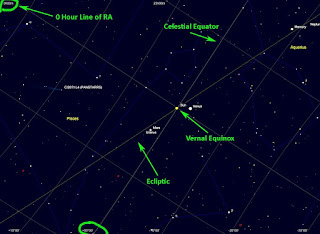 “Astrocalc” is Stellarium’s text-based ephemeris module. You can now overlay it on the screen with a push of the F10 button. In addition to ephemerides, this tabbed window will give positions for comets (clicking on a comet in the list will center it on the chart), find conjunctions, and display a graph showing altitude versus time for the selected object. That last is similar to the observability graphs offered in several other programs, and it is a very popular and useful tool for me. The other additions, like a new “sky culture” (constellation system), are more minor, but still welcome, and undoubtedly useful to some of the program’s large base of users. As above, Stellarium is used by more than a few planetariums and science museums. More important to most of us, I suppose, are the updates and expansions to the program’s deep sky and star catalogs. There’s always that ever-popular question among deep sky hounds, “How many DSOs does it got?” I don’t know that there’s a numerical total anywhere on the Stellarium website, but the DSO catalog has undoubtedly grown with the last couple of releases. For example, zooming in on a field in Coma revealed plenty of magnitude 16 PGC galaxies. I am more interested in imaging and observing the bright and spectacular galaxies, clusters, and nebulae these days (I used to chase Arps, PGCs, and UGCs), but if I were currently interested in the dimmest of the dim, I’d still be just fine with Stellarium. What’s the experience of using the program like for those who haven’t tried it yet? Most people tend to think of this as a very visual, GUI oriented program, and it can be that. Grab the sky and drag it around, use the roller ball on your mouse to zoom. It’s a silky smooth and, yeah, visual experience. Strangely, however, one of Stellarium’s major strengths hearkens back to the earliest days of computing. What it’s very strong with is hot keys. Yes, it’s cools to mouse over to the left side of the screen (which makes one of the program’s tool-icon-menus appear), click that pretty “find” icon, and locate what you want with the aid of the window that comes up. Cool, yeah, but somewhat annoying out on a dark observing field. Much easier/simpler is pressing F3, which summons that same window without mousing around and clicking. Much of what you need to do with the program can be done quickly with F keys and key combos. , for example, takes you do the eastern horizon post-haste. The ability to do things quickly with hot-key combos doesn’t end with the things built into the program by the developer. Stellarium includes a powerful scripting system that will allow you to compose scripts to do things with a few key presses, things as simple as pointing at a certain object, or as complex as taking you on a tour of the best NGC objects. How do I use Stellarium? Basically, in three ways. First, I use it to give me quick “What’s up?” looks at the sky. You know, “What’s high in the east right now?” After Windows changed enough that that DOS oldie but goodie, Skyglobe, would no longer run, I cast about for a program that was quick to load and would let me get to my chosen horizon in a hurry. Initially, I used the free soft I got with my Edge800/VX telescope four years ago, the lowest level of Bisque’s TheSky X, the First Light Edition. That’s a nice but very limited program (natch), so I was pleased to be able to ditch it for the recent releases of Stellarium, which load quickly on my modern PCs, and which offer those quick hot-keys to allow me to get to anything and anywhere. Secondly, I use Stellarium when writing observing articles, whether for this blog or for Sky & Telescope. The program has an excellent measuring tool that allows me to easily determine that NGC Umptysquat is 3 degrees northwest of M Whatsit. Finally, I use Stellarium in the field with my telescope. While there are built-in drivers for all my mounts, I generally use the SteallariumScope program and ASCOM drivers, since ASCOM gives me some things the built-in drivers don’t, like a little onscreen hand control. That allows me to center objects I am imaging without messing with the real HC (and prevents my editor from complaining about my poorly centered/composed astrophotos). Going to objects with Stellarium is a breeze, by the way. Select an object, hold down the CTRL key and press “1.” That’s all. No icons to hunt or menus to navigate. In the field, I often use Stellarium alongside a planner/logger—SkyTools, Deep Sky Planner, or Deepsky. While you can’t interface Stellarium with Deep Sky Planner as you can some other planetarium programs, I don’t find that a huge problem. I locate an object in DSP’s database, switch to Stellarium, hit the F3 key, and type in the object identifier, Not a big deal. And then I just do my thing with Stellarium and my telescope. I have never had any problems with or program crashes in the field. Yes, computers can be cantankerous, but Stellarium is exemplary for its good behavior. And there you have it. If you are a Stellarium user, you’ll want to upgrade ASAP in order to get the DSS feature. Not a Stellarium user? As I said earlier, there are many great free planetariums these days, like Cartes and Hallo Northern Sky, but since there’s no money involved, why not give Stellarium a try; you just might like its way of doing things. You are firmly in the TheSky X or Starry Night camp? Again, it don’t cost nuthin’ so why not try Stellarium? There’s a lot to be said for “simpler.” Me? I’m allergic to menus within menus within menus, and that’s one of the reasons I’ll be rolling with Stellarium for a while, I think. It’s 1965 and I’ve just gotten my first real telescope, a 3-inch Tasco Newtonian (a pawn shop refugee). I really don’t know what the heck to do with it other than look at the Moon—which is wonderful, of course. Shortly, though, my first issue of Sky & Telescope arrives. Surely it will clue me in to everything I need to know about this amateur astronomy business. Alas, after looking through it I wind up more puzzled than I was before. Sure, there was ample amateur astronomy in the magazine (if not as much as today) following the pro/science articles up front. But the writers seemed to think I already knew enough about astronomy to understand them. Heck, even the advertisements were indecipherable due to the jargon. I was getting nowhere in a hurry. What was a “clock drive”? When the author of an article said an object in the telescope was “30’ northwest” of another, did that mean the object was 30-feet from the other one? How could you tell what was north or south or east or west in the eyepiece anyway? What was a “Meridian” or an “Ecliptic”? What did “R.A.” and “Declination” mean? What was “figuring” a mirror? Why did it have to be “parabolic”? What was a “prime focus”? What in God’s name was a “drive corrector”? My confusion didn’t last too long. Between the mutual support and advice me and my buddies gave each other in our little proto-astronomy club, the Backyard Astronomy Society, and the wisdom dispensed by some of Patrick Moore’s books, I finally got off square one. It wasn’t easy in the beginning, though, and I sure wished somebody had explained all those puzzling things somewhere clearly, simply, and in one place. Today, with the Internet, things are easier, much easier, but it would still be nice to have explanations of the basic concepts and terms of practical astronomy in one spot. Certainly astronomy is every bit as foreign and confusing for beginners now as it was back then. There’s a reason for that. At the beginning of the last century, U.S. secondary science educators decided to deemphasize geology and astronomy in favor of biology and chemistry. Most students get very little on astronomy after the occasional middle school “space science” unit, and its ideas and language are a mystery to most. So? In hopes of making that learning curve a little less steep, here are some brief solutions to the head-scratching puzzles you, Joe and Jane Newbie, are running into on the Internet and in the astronomy magazines. There won’t be room to give you everything you need to know in one go, so we’ll do a part II (maybe even a part III and IV) in fairly short order. Many beginners have an awfully hard time wrapping their heads around the way the sky works. All those imaginary lines and stuff, and it’s always in motion! There is an easy way to understand it, however. What did the Ancient Greeks think the sky was? They believed it was a great crystalline globe surrounding the earth. The stars were points of eternal fire, or maybe they were holes in the sky globe allowing the eternal fire beyond to shine through. Of course, today we know that is nonsense. The sky isn’t a glass globe. If, however, you can suspend your disbelief for a while, thinking of the sky as a globe makes it easy to understand how it works. 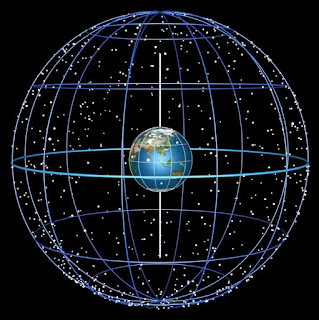 So, we have this great crystal rotating about the earth once every 23 hours 56 minutes and 4 seconds (a “sidereal day,” see below). Yes, I know it’s really the Earth that’s rotating, but remember what I said about "suspension of disbelief"? To our eyes, it’s the sky that is turning. If you have a basic knowledge of Earthly geography, the globe of the Earth, understanding the lines and points of the sky is easy. Let’s begin with the celestial poles, the analog of the Earth’s poles. Extend the axis of the earth north and into the sky. 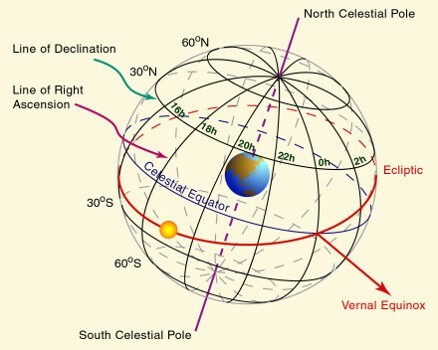 The point where the Earth’s axis penetrates the sky globe is the North Celestial Pole (NCP). Extend the axis south into the sky globe and you have the South Celestial Pole (SCP). 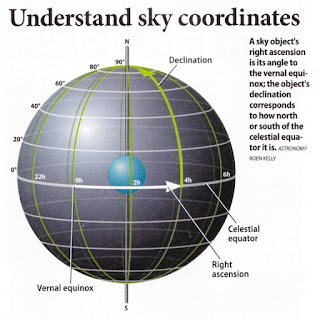 The sky globe appears to be rotating on this axis, which extends from the North Celestial Pole, through the Earth, and into the South Celestial Pole. Where are the poles in the sky? They are found at an elevation (north or south) equivalent to your latitude value. Down here, I am at 30-degrees north latitude, so I find the NCP 30-degrees above the northern horizon, conveniently marked by the bright 2nd magnitude star, Polaris (which is actually about ¾ of a degree from the true NCP). Do the above with Earth’s equator, extend it into the sky as a flat plane, and you have the Celestial Equator. The Celestial Equator is the imaginary line that divides the sky globe into a Northern Celestial Hemisphere and a South Celestial Hemisphere, just as the earthly equator separates the globe into northern and southern hemispheres. Look at the globe of the Earth. How do you find your position north and south of the equator? Simple: there are imaginary lines of latitude. We have the same thing on the sky globe, lines of latitude. They perform exactly the same job; they allow you to find your position north or south of the Celestial Equator. As on earth, latitude is measured in degrees, minutes, and seconds beginning at the equator, which is 0-degrees. For some odd reason some beginners tend to think the equator should be 90-degrees, but 90 degrees north or south of the Celestial (or terrestrial) equator brings you to the poles. The equator in the sky or on earth is 0-degrees. Latitude is measured in (angular) degrees, minutes and seconds. Conventions for stating a latitude value? Degrees are indicated with a degree symbol, a single quote (‘) is minutes, and a double quote (“) is seconds, just like in your high school geometry or trigonometry courses. A minute is a distance equal to 1/60th of a degree, and a second is a distance that’s 1/60th of a minute. North thirty degrees, thirty minutes, and thirty seconds is written as 30°30’30”. If you don’t have a degree symbol in your font, a lowercase “d” will do. If the latitude in question is a south latitude, a latitude south of the Celestial Equator, a minus (-) sign is placed in front of the value. You can put a plus (+) sign before a latitude to indicate “north,” but the lack of a minus sign is taken to mean it’s a north latitude. Just as the sky globe has lines of latitude, declination, that allow us to locate points north and south of the Celestial Equator, there are also lines of longitude that enable us to find positions east and west. Just as on Earth, the combination of heavenly latitude and longitude allows us to find anything we want—stars, planets, and deep sky objects. Celestial longitude is actually simpler than earthly longitude. On earth, longitude is in east and west values. Just as latitude is stated in relation to distances north and south of the equator, longitude on Earth is stated in terms of how far east or west (+/-) you are from the Prime Meridian (the zero line of longitude, which runs through Greenwich England). Longitude in the sky is simpler in that it begins at the sky’s Prime Meridian and runs east, increasing in value, until it comes back around. There is no east/west in celestial longitude. When talking latitude, it’s easy to see where you measure from. On Earth or in the sky, it’s obvious you begin at the equator. But for longitude, you must choose a starting place. There’s no really obvious place to place the 0 line. On Earth, that line runs through Greenwich, England. Why? Britain was the world’s preeminent naval power when navigation was being sussed, and led the world in the quest to figure out how to determine longitude at sea (not so easy). But where to put the 0 line of longitude in the sky? Before talking about the sky’s Prime Meridian, you need to understand another line, the Ecliptic. 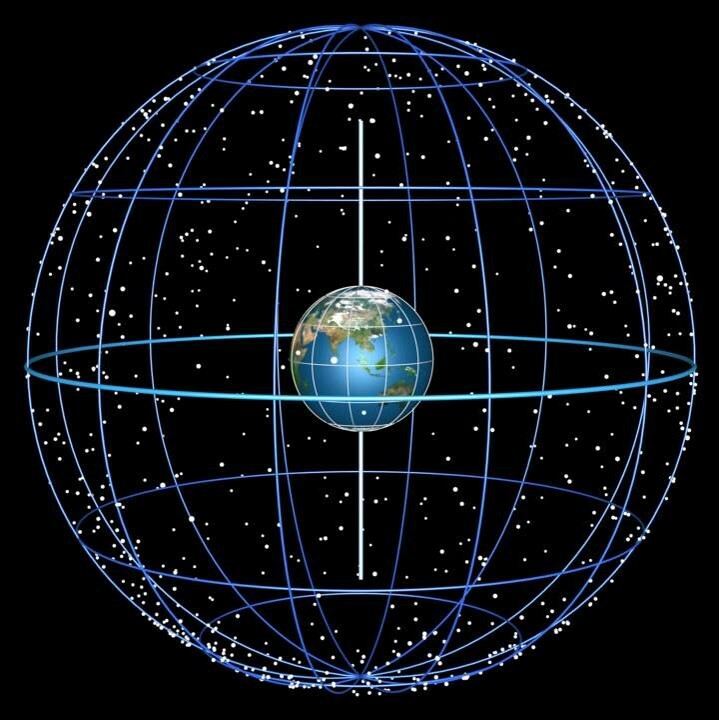 The Ecliptic Is the Plane of Earth’s Orbit. The major planets are in orbits that are almost in the same plane as the Earth's. As such, they always appear close to the ecliptic. In terms of what you see in the sky with your eyes, the Ecliptic is the apparent path of the Sun through the sky. This path does not remain in the same positon throughout the year, however. You may have noticed that the Sun’s path is farther north in the (Northern Hemisphere) in summer, and farther south in the (Northern Hemisphere) winter. The path of the sun moves north and south over the course of the year. When the path is farthest north, it is summer in the Northern Hemisphere. Farthest south and it is winter (reverse that if you live in the Southern Hemisphere). The Sun’s moving path across the sky and the change of the seasons are due to the tilt of the earth’s axis. That’s why we have seasons. 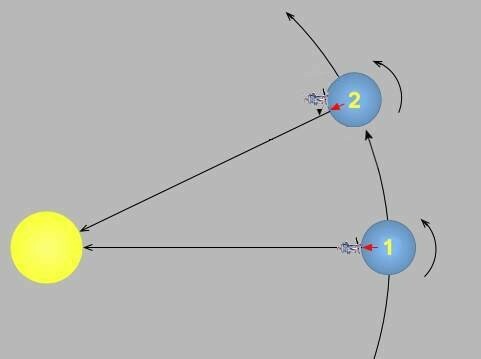 It’s not because, as some astronomy newbies (and other people) imagine, the Sun is closer in the summer thanks to the Earth’s elliptical orbit—the reverse is actually true in the Northern Hemisphere. Back to celestial longitude. The chosen point, the place the 0 line of longitude, the prime meridian in the sky, runs through is the Vernal Equinox. The Vernal (spring) Equinox is the point where the ecliptic intersects the celestial equator. 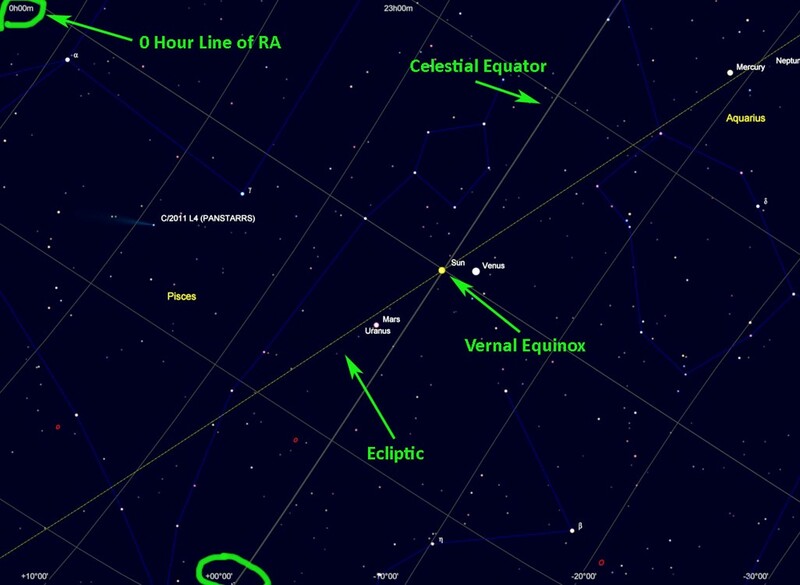 As winter ends, the path of the ecliptic moves north, and eventually runs into the Celestial Equator. When the path of the Sun reaches this point, when the Sun hits the Celestial Equator, it is spring. The zero hour line of celestial longitude passes through this point. The Vernal Equinox point is also known as "the First Point of Aries" (the Vernal Equinox no longer lies in Aries, but don't worry about that right now). Since, as above, there is no east/west value for celestial longitude, that makes it simpler to work with. Two things make it more complicated, or at least complicated sounding to novices, however. The first is its name. Just as celestial latitude is not called “latitude,” celestial longitude is not called longitude. It is “right ascension” (abbreviated R.A.) That’s scary sounding, but just remember right ascension = longitude. What hangs most newbies up is not celestial longitude’s name, but the way it is measured. Rather than being given in degrees, minutes, and seconds as latitude is, right ascension is measured in hours, minutes, and seconds. What you have to understand is that these hours, minutes and seconds do not really describe time; they describe distance. One hour of right ascension is 15 angular degrees. 1-minute is 1/60th of that and 1-second is 1/60th of that. Why “hours” instead of degrees? Since the sky is always in motion, it makes a certain amount of sense. Let’s say you go out one evening and look to the eastern horizon. You notice the bright red giant star, Aldebaran. “Pretty!” you think. But you want to watch a rerun of your favorite program, Jersey Shore, on TV. You hop inside and enjoy Snookie’s antics. Afterwards, you wander back outside and immediately notice that in one hour Aldebaran has risen 15-degrees in the sky. It has moved a distance equal to one hour of right ascension (multiply 15 times 24-hours and you will come out with 360-degrees). If you just understand that R.A. = distance, 1h = 15-degrees, you will do OK. The convention for stating R.A. is a lowercase “h” denoting hours, an “m” for minutes, and an “s” for seconds as in: 19h17m00s. The Zenith is the point in the sky that is directly over your head. It never moves. The Nadir is like the Zenith, but is the point that is always directly beneath your feet. Like the Zenith, it never moves. When an object culminates is an important thing for a sky watcher to know. When a star, for example, is on the Local Meridian, it is as high as it ever will get in your sky. If it’s located very far north or south in declination, that might not be very high, but it is still as high as the star will get. And that’s the best time to observe it, when it is as far from the thick, dirty air on the horizon as possible. How do you know when an object will transit the Local Meridian? You check the local sidereal time. When a line of right ascension is straight overhead on the Local Meridian, that is the current LST. Say the 11-hour line of right ascension is on the Meridian. That means the LST is 11:00. Any object with a right ascension, a celestial longitude, of 11h is culminating. How can you find out what the LST is? Most astronomy program, especially planetarium programs, will give LST. Some, like Stellarium, will display this value as “Mean Sidereal Time” and/or “Apparent Sidereal Time,” but for our purposes that's the same as LST. Right now, it’s 19:17 and globular cluster M56, which has a right ascension of 19h17m, is on the Local Meridian and high in the sky. Typically planetarium program, including Stellarium and Cartes du Ciel, display LST in the information window that comes up when you select an object. Yes, yes, I know back in first grade your teacher, kindly Miss Franklin, told you a day is 24-hours long. But that’s not exactly true. Not always. The actual time it takes the Earth to rotate once on its axis (as measured by the time it takes a star to make two transits of the Local Meridian) is 23 hours, 56 minutes, and four seconds. So what’s with the “24-hours”? That’s a Solar day, the time it takes for the Sun to transit the Meridian twice. Why the difference? 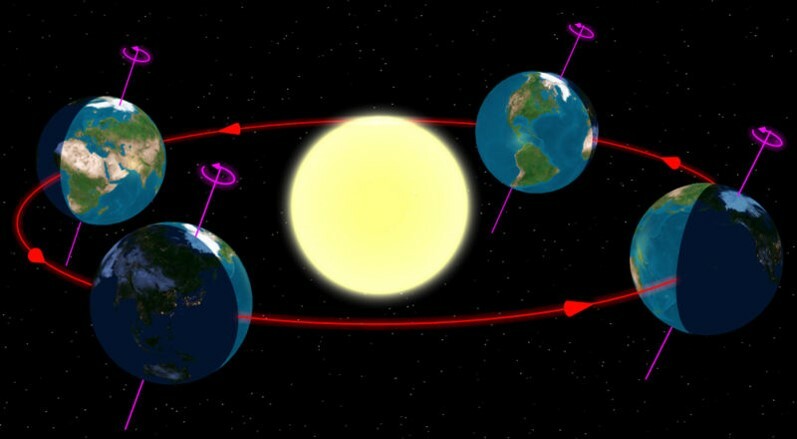 The Sun is close compared to the stars, and the fact that the Earth is moving along in its orbit in addition to rotating, means a bit of parallax error comes into play. As you can see in the picture, when the Earth has rotated once on its axis, it’s moved along in its orbit (greatly exaggerated here) as well, and, so, has to turn a little more on its axis to put the sun back overhead. That extra time is the nearly four minute difference in the two varieties of day. All this degrees and minutes stuff is well and good, but how do you judge distances in the sky? Luckily, nature has provided you with a convenient measuring tool. Your outstretched fist covers about 10-degrees from thumb to pinky. Your index finger is approximately 30’ across. “But Rod,” you might say, “I have small hands.” Nevertheless, this should still work. 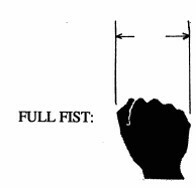 Most people with small hands have correspondingly short arms, and your outstretched fist will still span 10-degrees. Whew! That was a lot. Nearly too much for one sitting, so we will stop here. Go over these concepts until you are clear on them; these are things every astronomer needs to know. Even in this day of do-everything computerized telescopes, I believe it is still vital—for understanding and enjoyment—that you know how the great sky globe works. Next time? I am not sure. I’d say that if the weather continues to be as lousy as it is right now, we might go on to Part II of the novice files. Or I may talk about the new Stellarium. Or something else may come into my mind (such as it is). We shall see. And, so, we find ourselves at the end of the Messier road. Don’t feel sad, though. While we’ve caught ‘em all here, if you haven’t seen them all with your own eyes and your own telescope, you have a huge adventure in store and I envy you. Even if you have observed the entire list, you, like me, will likely never tire of these beauties. Why not give the Ms another go? 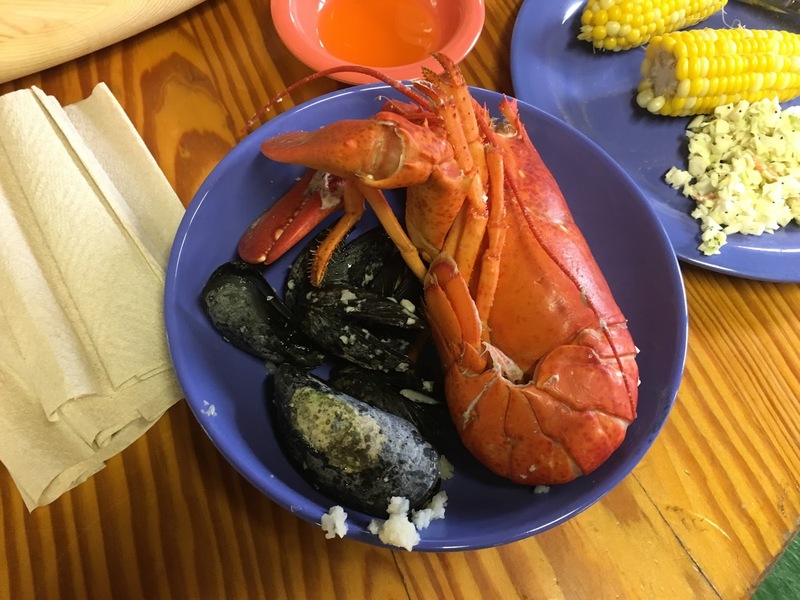 This is a great time to begin that; the fall wonders are still around, the winter spectacles will soon be riding high, and before you know it the multitudinous Messiers of spring will be on parade. This actually isn’t the end of Messiers in the blog. Since I am mostly focused on bright and spectacular deep sky objects these days, you can expect another Messier series shortly. I won’t keep you in suspense about it, either. 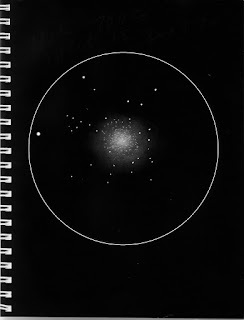 The new articles will involve me viewing the list as John Mallas did for his and Evered Kreimer’s famous book, The Messier Album, with a 4-inch refractor. When will the series begin? That depends on a number of factors, not the least of which is the weather. 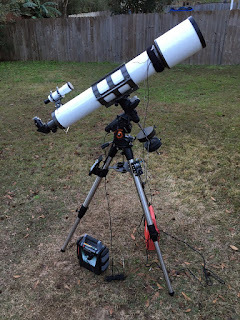 What will I see with my Celestron C102 compared to what Mallas saw with his 4-inch Unitron? Will my drawings even remotely resemble his sometimes-eccentric/fanciful looking ones? I actually did some observing along these lines some years ago, writing more than a few blog entries about the experience. At the time, however, I didn’t have a 4-inch refractor—I used a 5-inch MCT instead—so I think it will be fun to revisit the Messier Album with a scope more similar to what John used. I also plan to be more systematic this time, drawing every object John drew. If you want to follow along, I urge you to get this fine book. It’s out of print but easily available. Messier 106, a bright (as galaxies go) Sb spiral galaxy in Canes Venatici, is one of the least visited and least appreciated M-galaxies. Why? I am not sure. While it’s large at 18’36” x 7’12”, it’s also bright at magnitude 8.41, and its intermediate inclination means its light is not badly spread out. Certainly, it’s a nice sight in the suburbs with 10-inch range scopes, and is visible in smaller instruments. Part of the problem may be that while not exactly tough to find, M106 is kinda out in the middle of nowhere, lying about halfway along a line drawn between Chara, Beta Canum Venaticorum, and Phecda, Gamma Ursae Majoris (a bowl star in the dipper asterism). Thanks to the galaxy’s relative prominence, it shouldn’t be tough to run to ground manually, however. If you need further guidance, it is 1-degree 40’ southeast of magnitude 5.25 3 Canum Venaticorum. M106 is surprisingly attractive despite haze. Easily visible in the TeleVue Panoptic 22mm with direct vision. Occasionally, I think I see hints of a nucleus, but not often. obviously elongated North/South. On good nights from a darker site, a 10-inch class scope should reveal at least trace of dark details. There are globulars and then there are globulars. Ophiuchus has plenty, but not all are like its two gems, M10 and M12. M107 is not a bad glob, mind you, just not an outstanding one. Think “M53.” It’s resolvable from the suburbs, but you will likely need 10-inches of aperture to do it, and upping the power is a must. One good thing about M107 is that it is trivial to find, lying only 2-degrees 43’ southeast of a prominent star, magnitude 2.50 Saik, Zeta Ophiuchi. 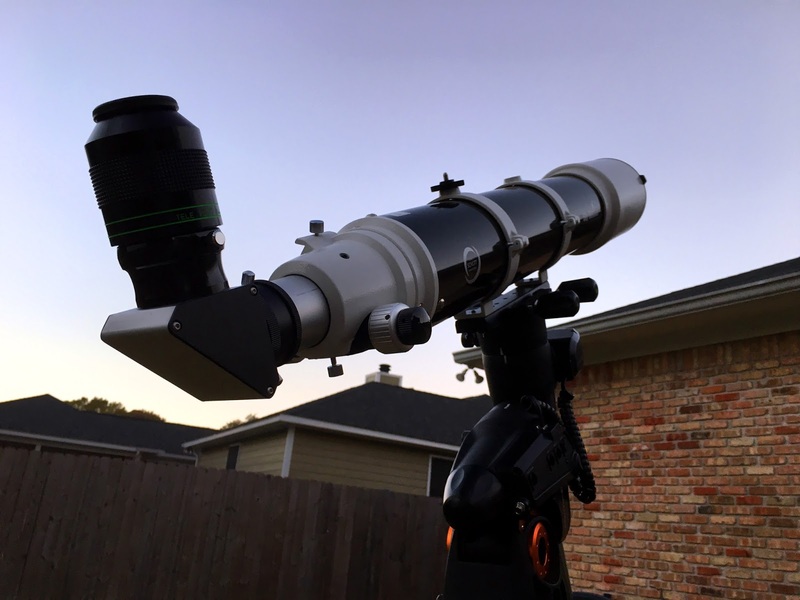 Position your scope on the star, insert a medium power eyepiece and scan slowly and carefully south-southwest. This magnitude 8.85, 13.0’ across star cluster likely ain’t gonna put your eye out, so be careful. I’ve always liked M108. It’s distinctive, and its nearness to another of my favorite objects, M97, the Owl Nebula, adds even more interest. But we are a long way from “spectacular” here. Under suburban skies, anyway. In an 8-inch telescope, M108 is a dim streak, as its stats would suggest: magnitude 10.70 and a size of 8’42” x 2’12”. In an 8-inch in my backyard, it is often an averted vision object. It is better in the 10-inch (a 10-inch really gives you a leg up in the backyard), but not worlds better. Like M107, M108 is at least trivial to find. If you can locate the Owl manually, all you have to do is move the telescope 48’ west-northwest roughly back in the direction of the bright dipper bowl star Merak. If you are coming from Merak, move 1-degree 30’ northeast. As with M107, but even moreso, go slowly. Higher magnification, maybe with a wide-field 12mm ocular, will help. Don’t expect too much when you do find this bugger. You should be able to tell it is elongated, but that will likely be about it. From a better location than the backyard, things do improve in a hurry. In an 8-inch at the club dark site, I can begin to make out dark detail that makes the galaxy look somewhat like a miniature M82. In reality, this object is nothing like weirdly disturbed M82, being a more normal dusty spiral. In a large aperture scope, or with a deep sky video camera, Ursa Major’s M109 is distinctive and interesting looking. It’s what I used to call a “tie-fighter galaxy” when I was doing the Herschel Project. It’s a barred spiral that looks a lot one of Star Wars’ bad guy spaceships if you’re seeing the bar without the full extent of the delicate and dim spiral arms that extend from it. Other people call these “theta galaxies,” but that’s other people, not me. At magnitude 10.6, M109 is not overly bright, but neither is it too large at 7’36” x 4’42”, so it is at least doable from average suburban digs. Like M108, M109 is easy to find thanks to its proximity to Phecda, the dipper bowl star. Move 29’ south-southeast of the star and you should have M109 centered. With a 12mm wide-field, you may be able to move the star to one edge of your field and have the galaxy visible on the other edge if your scope isn’t overly long in focal length. What you will be able to make out of M109 depends on scope and sky. With 8-inch and smaller instruments, all you are likely to see from the backyard is a dim oval thing that may require averted vision. Even with larger aperture telescopes at considerably better sites, you still may not pick up much beyond that. Well, perhaps a subdued nucleus. 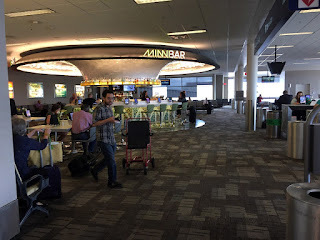 To see the bar and arms, I cheated, using my Mallincam deep sky video camera on the C11, which made the galaxy’s tie-fighter aspect easy from my back forty. And, finally, at the very end of the road is one of M31’s two nearby satellite galaxies, a magnitude 8.07 E5 elliptical. While it is rather bright, it’s also fairly large (21’54” x 11’00”) and is not always trivial from the backyard. It is much more difficult than M32, and on poorer nights M110 can be surprisingly difficult—or invisible—with a 4-inch. At least you don’t have to worry about hunting. Surely, you can find its great parent galaxy, M31, if you are beyond the greenhorn stage. M110 is located 38’ northwest of that huge beast (farther from the center than the brighter satellite, M32, that is). It is well separated from the “nebulosity” of the galaxy. On good nights, M110 can be tantalizing, even from the backyard. In a 10-inch, I can not only see that it is quite elongated, as befits it with its E5 classification, and that it brightens towards its center, but that there are occasionally tantalizing hints of dusty detail just on the very edge of perception. And that…is all. I hope you’ve enjoyed the series, and I also hope that, if you haven’t seriously attacked the list yet, I’ve encouraged you to do so. Folks, there is an absolute lifetime of enjoyment in these special objects. Nota Bene: What do I use these days when I need a planetarium program? 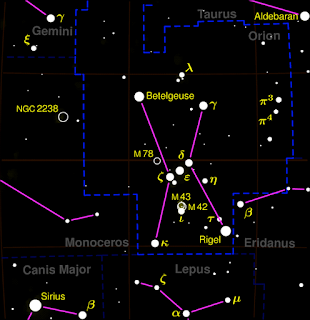 I use Stellarium. It does everything I need to do and more. And it is free, and you know I like that. The news is that version 15.1.1 is on the streets, and the program is better than ever, now including a DSS function that allows you to superimpose DSS images over the charts (if you have an Internet connection). There is no reason not to upgrade, folks; go get it.